CLOSED due to rains and high water levels; please call to see when this park will reopen. 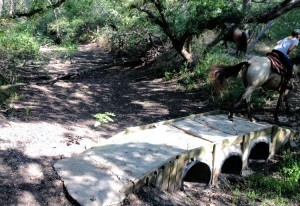 The Red Trail at Waxahachie Creek Park at Lake Bardwell. Multiple covered 10×10 pens at trail head, water and electric available, mounting ramp, level parking with multiple grassy sites for saddling your horse. Hitching posts at trail head. Horseshoe Bend bridge on the Blue Trail. Just over 13 miles of one way trails, making a round trip of approximately 27 miles. The Terrain is easy and does not require you to have shoes/boots for your horse. It is mostly flat with some hilly terrain on the offshoot trails. I was told there is water access at the head of the pink trail but we did not make it to that point. Crossroad on the Red Trail. Lake Bardwell Multi-use trails has @27 miles of trails (round trip). The red trail (7.5 miles round trip) is the main trail on the front side and has multiple trails which are side loops. The white trail was our favorite offshoot trail with shady spots and ups and downs. 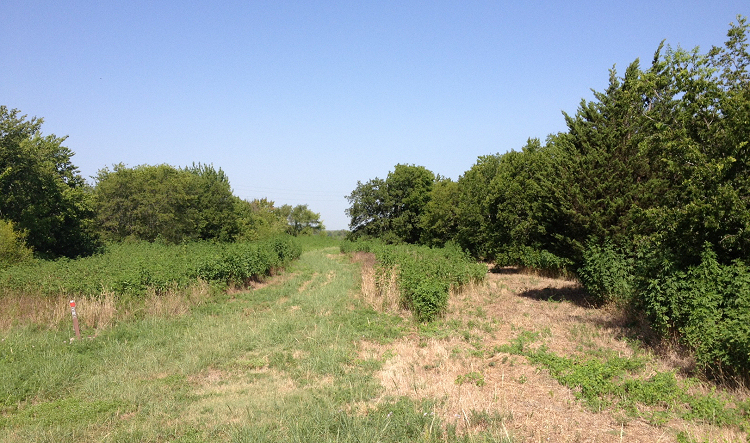 The Blue trail winds through the forest along Waxahachie creek and was also one of our favorite spots. 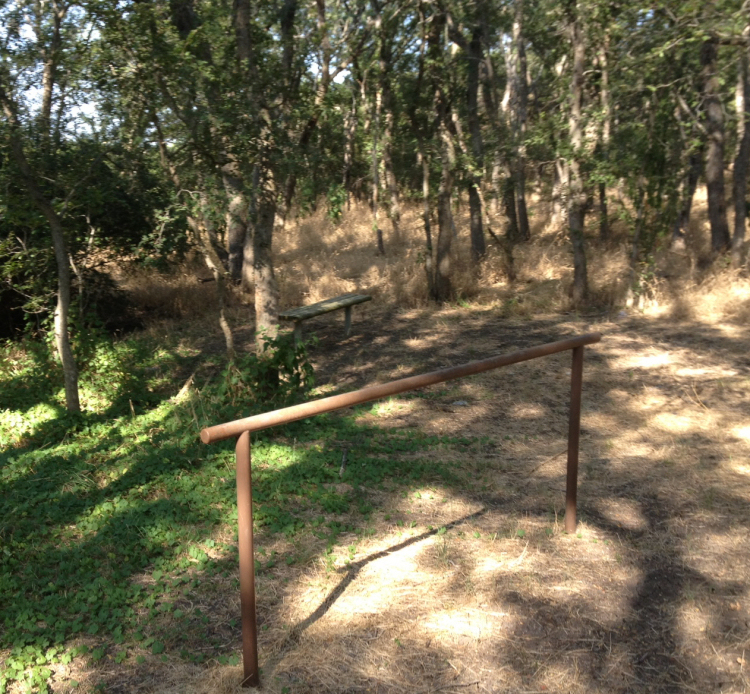 Off of the Blue trail is a hitching post and bench located under some shade trees. We did not make it to the pink trail on the opposite side of the creek. 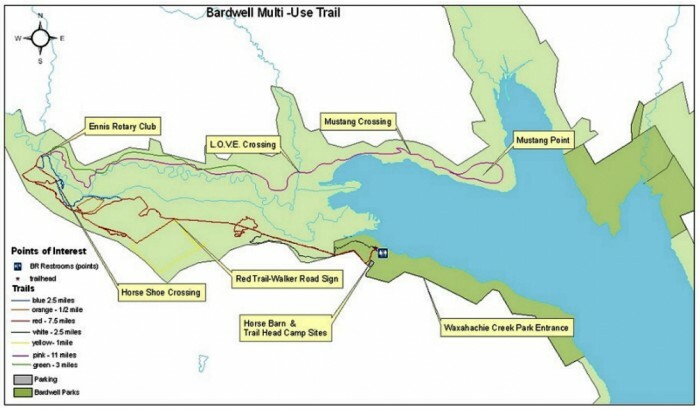 I found a lot of trail descriptions at this website (http://bardwell.trails.tripod.com/) but please note that the contacts listed on that site are no longer affiliated with those maintaining the trails. The best place to get information is the COE office. Also, per the COE, TETRA has a group that helps maintain this trail. He did say that volunteers are always needed. 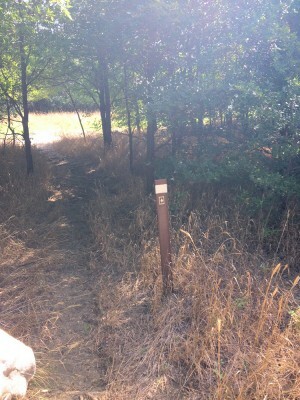 Trails are very well marked and were mowed. The trailhead was very well-equipped with multiple covered horse pens, hitching posts, water/electric campsites, and a mounting block. Gate attendant was very informative and had color maps for our reference. We found this to be a very pleasant place to ride. We’ll be back! 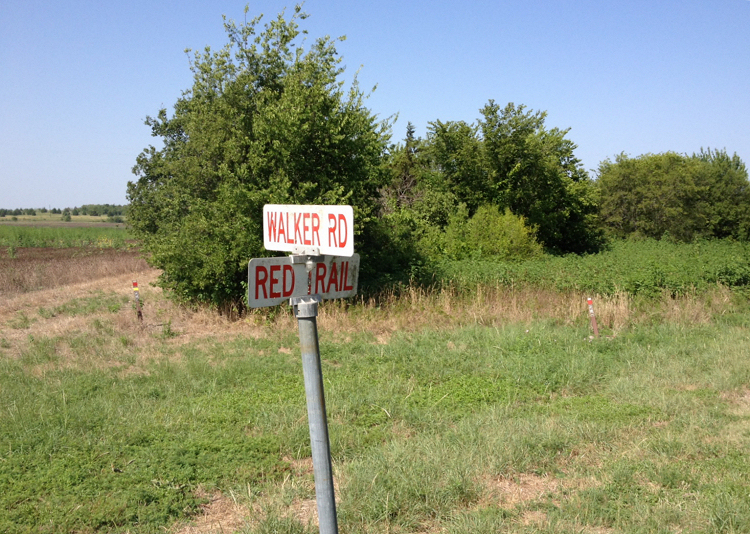 A note of caution: This is a hunting area during Sept 1-March 31, per the signs on entry.